Here's a handy guide to your London transport options today. 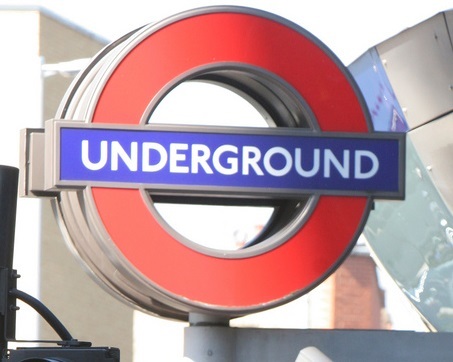 Those wanting to get around are advised to allow extra time for transport due to strike action by RMT Union members. The strike will affect tube services from around 9pm on Monday 28 April until the morning of Thursday 1 May (and again from Monday 5 May until Friday 9 May). Docklands Light Railway, London Overground, river boats, rail services and buses will not be affected by the industrial action. However, delays to your journey might still be caused by other commuters opting for alternative methods of transportation. Trains will run between Queen’s Park and Elephant & Castle around every six minutes in both directions. Please check at the time of your journey as this service may not run all day. Will not stop at Edgware Road, Embankment, Kilburn Park, Lambeth North, Maida Vale, Piccadilly Circus or Regent’s Park stations. It is possible that some other stations may also need to close at times. No service through the central area. between Epping / Hainault and Leytonstone around every ten minutes in both directions. If possible this service will be extended to Holborn. between West Ruislip and White City around every 10 – 15 minutes in both directions. If possible this service will be extend to Ealing Broadway. These trains would not stop at Redbridge, Gants Hill or Wanstead stations. It is possible that other stations may also need to close at times. between Wimbledon and Barking around every 12 minutes in both directions. If possible this service will be extended to Upminster. between Ealing Broadway and Tower Hill around every 12 minutes in both directions. These trains will not stop at Aldgate East, Blackfriars, Gloucester Road, Sloane Square, Stepney Green or Temple stations. It is possible that some other stations may also need to close at times. Trains will run between Hammersmith and Aldgate around every ten minutes in both directions. These trains would not stop at Barbican, Euston Square or Great Portland Street stations. It is possible that some other stations may also need to close at times. Trains will run between Wembley Park and Stratford around every seven minutes in both directions. These trains would not stop at Bermondsey, Canada Water, St. John’s Wood, Southwark, and Swiss Cottage stations. It is possible that some other stations may also need to close at times. Trains will run between Harrow-on-the-Hill and Aldgate around every ten minutes in both directions. These trains will not stop at Barbican, Euston Square or Great Portland Street stations. It is possible that some other stations may also need to close at times. Trains will run over the whole line with a train around every five minutes via both the Bank and Charing Cross branches in both directions. These trains will not stop at Angel, Borough, Chalk Farm, Charing Cross, Clapham North, Clapham South, Colliers Wood, Embankment, Goodge Street, Hampstead, Leicester Square, Mill Hill East, Mornington Crescent, Old Street, Oval, South Wimbledon, Tooting Bec and Warren Street stations. It is possible that some other stations may also need to close at times. between Arnos Grove and Cockfosters around every 12 minutes in both directions. These trains will not stop at Heathrow Terminal 4, Heathrow Terminal 5, Hounslow West or Southgate stations. It is possible that some other stations may also need to close at times. NB: A reduced Heathrow Express service will run on Tuesday 29 April and Wednesday 30 April due to separate strike action by the RMT. Heathrow Express plans to run two trains an hour between Heathrow and Paddington and back. Check www.heathrowexpress.com for more information. See District, Hammersmith & City and Metropolitan lines above. Trains will run between Seven Sisters and Victoria around every five minutes in both directions. If possible we will extend this service to Brixton. These trains would not stop at Pimlico, Vauxhall or Warren Street stations. It is possible that some other stations may also need to close at times. WATERLOO & CITY LINE: No service.